Agua Frescas or “fresh waters” are popular drinks in Mexico and you can find them all over the Southwest in the summer. They are light and refreshing—not too much sugar, not too much fruit—just the essence of papaya, mango, pineapple and, the favorite summertime fruit, watermelon. I dare you to find one thing more refreshing than ice-cold watermelon on a hot summer day. . . except maybe cold liquid watermelon in a glass with a little lime juice and zest to add tang. All you do is fill up your blender with chunks of the cold red iconic summer fruit, some lime juice ((and then, yes, sure, throw in some zest for tang)) and you are just one blender button away from one of the most refreshing sips you will ever take. Where does the “kick come from? A jalapeno, of coarse! Remove the stem and seeds from a jalapeno and toss half of it into the blender. If you are feeling a little dangerous, throw in the whole thing! It adds just a touch of heat to such a large blender full of agua fresca. There’s no “recipe,” really ~ just watermelon, lime juice and a little jalepeno in a blender. Since watermelon is already 90 per cent water, you don’t even need to add H2O. If you’d like a smooth texture, you can strain the pulp out by pouring through a sieve, but I myself like the rustic feel. I used to think that there was nothing but sugar to watermelon. But, turns out, it is an uber-healthy fruit, full of lycopene, a powerful antioxidant (watermelon has MORE antioxidants than even tomatoes), and so this fab fruit refreshes your immune system as well as your taste buds. So, in the summer, forget apples: a watermelon slice a day keeps the doctor away! How To Pick a Watermelon is a cinch: pick a heavy melon with a large yellow spot on one side, which indcates it was allowed to ripen in the field. For a spicy version check out Healthy Green Kitchen’s Jalapeno Watermelon Limeade. Watermelon Slushies at Kahakai Kitchen look fabulous! How about Cookin Canuck’s Watermelon Mojito? Jungle Frog is in watermelon madness mode. 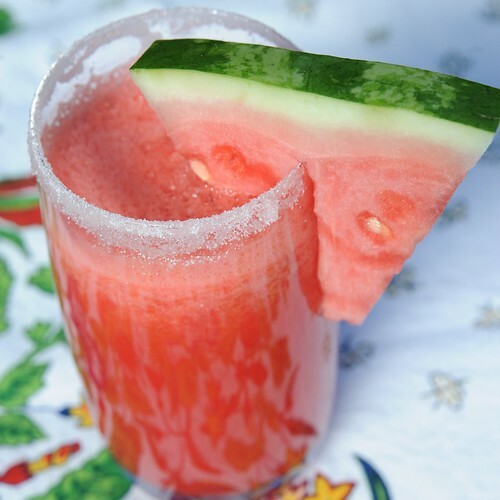 Watermelon Margaritas look delish by We Are Not Martha. « Margarita Style Gelato – A Five MInute Churn-Free Dessert with Southwest Flavors. No, really. FIVE Minutes, tops! I’ve been considering making some kind of drink using jalepenos for a while, and I absolutely love the combo of watermelon and lime…this looks like a winner! Mandy – Do try this and let us know how you like it! watermelon.org now has a mobile website available that links directly to recipes, carvings, nutrition, and how to pick a good watermelon. Very useful when you’re in the grocery store! Great post! Thanks, Julie – good to know! 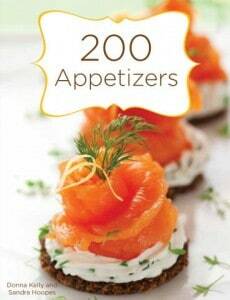 Ooh I’m making this for the weekend! Hi ladies! I’ve missed you. I’m back to the internet more regularly now which means I get to start reading and commenting more often. Yay!